Red River College has again been recognized as a global leader in applied research and innovation by the World Federation of Colleges and Polytechnics (WFCP). At the organization’s Awards of Excellence in Melbourne, Australia on Oct. 9, the College was awarded silver in the Applied Research category for contributions led by its Research Partnerships & Innovation (RPI) department, which was formally established in 2004. The WFCP Awards honour excellence in addressing real-world challenges through applied research initiatives. WFCP last honoured RRC in 2014 with a bronze award at a ceremony in Beijing, China. “This award is another significant achievement for applied research at Red River College,” says Ray Hoemsen, director of Research Partnerships & Innovation at RRC. Two other Canadian institutions were also honoured in the same category: Niagara College was awarded the gold, while Mohawk College took the bronze. 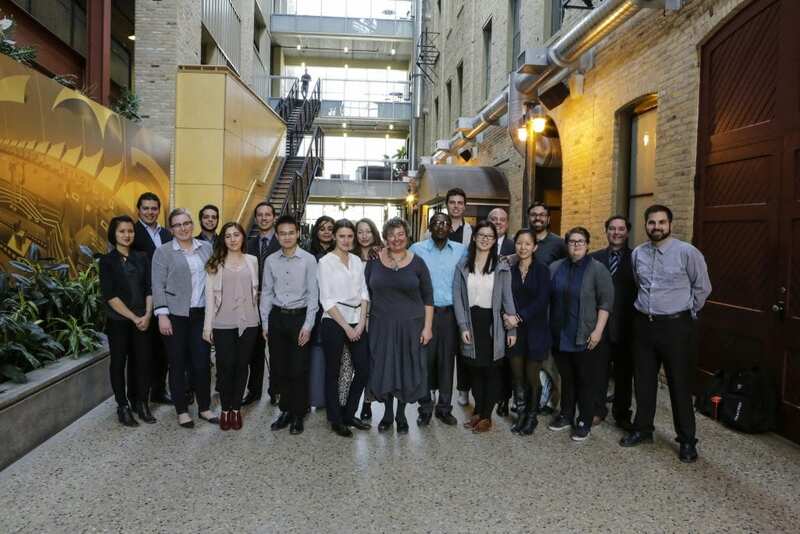 The WFCP award recognizes RRC students, faculty and staff for a number of notable projects, including the development of an all-electric transit bus now being sold across North America, delivery of the Science of Early Child Development resource, and the engagement of International Business students (shown above) from more than 30 countries to produce Business and Market Intelligence reports for small and medium-sized enterprises (SMEs). Currently, the College concentrates on four major areas of applied research: Advanced Design & Manufacturing, Clean Technology, Digital Technology, and Health, Nutrition & Social Sciences. RRC continues to expand to support market needs in applied research. A new Culinary Research Centre is currently under construction that will empower researchers, faculty and students to collaborate with industry to create new products, while a vehicle test facility called MotiveLab — featuring a climatic chamber that reaches temperature highs of +50 C or lows of –40 C, no matter the outdoor temperature — is set to open at the Notre Dame Campus later this year.